Adobe’s newest suite of technical communication products, TCS 6, has just appeared, all new and squeaky clean, with its lead products rebranded as “2015 Releases.” I’ll write again later about the suite as a whole, but this post is specifically about FrameMaker. FrameMaker is arguably the lead product in this suite, and its 2015 incarnation is one that finds inspiration in its original roots – going back to the source – and in a firm vision of a multichannel, multiscreen, multimodal future. It seems to be the year for abundance of new and genuinely useful features in tech comm editors, and FrameMaker boasts its share of ’em. I’m sure lots of other bloggers and reviewers will enumerate them for you, and evaluate their implementation or their overall utility. I’m interested in writing about the impact of some of these new features, and what that means for two futures – a future in our profession that is a quickly moving target full of unknowns, and a future for the application itself that might be surprising. FrameMaker 2015, first and foremost, gives a long salute to its original roots – aiding the creation and maintenance of long, complex documents. It represents a return, in this product, to full Desktop Publishing (DTP) capabilities, with lots of features that will really save people time in today’s global, multichannel environment. You can publish fully functioning Android and IOS apps from it, as well, via the PhoneGap cloud service. By “Traditional,” I mean the FrameMaker we’ve always known – using a section-chapter-book organization (structured or unstructured). FrameMaker 2015 offers a panoply of DTP features that return it to being a top-of-the-line document production studio. It might not have the graphical design and manipulation features of its Adobe cousin InDesign, but it masters text flow like no other programme, and new workflows are going to save people many long hours in their workflows for writing and localizing long documents using the publishing metaphor, whether to print or to digital media, regardless of the device. It’s not just for technical communication, either. Are you writing a novel, an academic text, or a major research paper? Do you want to publish it to eBook, and print, and maybe even directly on the web? Do you need it translated into multiple languages? Are you publishing a philological treatise that needs multiple languages in the same document, some of them Right-to-Left (RTL) languages? You can do it all in FrameMaker 2015! With the release of TCS 5, Adobe did something I’d been wishing for for some time: they created a separate XML editing product, at a very competitive price. In FrameMaker 2015, the configuration remains unchanged – you can buy “full Frame” and you get XML Author integrated into it, or you can buy the separate XML product if you don’t need any of the other features. This release includes some very useful out-of-the-box aids for non-specialist writers who need to contribute to XML-based projects. Extensive RTL support – not just at text level, but at document level, with real typographical control and the possibility of mixed, bi-directional documents. In FrameMaker 2015, any object (e.g. paragraph, table, text flow, on up to the whole document) can be given a direction attribute: RTL, LTR, or Inherit. Inherit takes its value from a parent object. This means that a correctly designed model can have its entire directionality flipped with one single click, even if it contains mixed texts (bidirectional). This is extremely valuable for work flows that include translating inside FrameMaker. You can translate English source, for example, into Arabic, click the button, and not only with the text be aligned from right to left, but table header columns, page orientation, list bullets and numbers, illustration placement, anything that needs reorientation, will be in the right position. The two languages that have full support at this time are Arabic and Hebrew, and included are language-specific typographical features such as ligatures and diacritical marks. This puts FrameMaker on a par with the most sophisticated page publishing applications, as far as typographical control in RTL languages is concerned, though it seems the language-specific features only work with some Hebrew or Arabic fonts. There is support for numbering, including auto-numbering in lists, sections, tables, graphics, etc. for Indic, Hebrew, Abjad and Alif Ba Ta number systems. These features are also available when working in XML. The immediate impact of this is to drop the cost of translation into Arabic or Hebrew enourmously, by reducing the amount of hand tweaking necessary. I see this feature becoming extremely popular very quickly with any company that is selling into, or producing products in the Middle East. It will also be extremely useful for academics, and for the production of bilingual books of any sort. Whatever the business, we work more and more across cultural and linguistic barriers every day. We clearly need ways to quickly deliver reliable, understandable, unequivocal information – especially where health or safety is involved. The facility to either create new material, including mixed documents – where some pages are LTR and others RTL – or to use FrameMaker documents directly in translation work flows – is a very important step. I assume that Adobe will be extending the language-specific support to other RTL languages, most especially Asian languages. This would seem key, in my opinion, to ensuring long-term success. This one is a boon to anyone whose workflow includes importing material from anyone who writes in MS Word. When you copy an MS Word document into a FrameMaker document via Frame’s File Import dialog, you are presented with a style mapping panel that allows you to map Word styles to styles in your FrameMaker document. If the styles have the same name, they are automatically mapped to the Frame style with the same name – though you can change it to a different style if you need to. Table styles will map just as easily as paragraph styles. If your Word writers use a reasonably well-defined template and are consistent in their style use, you will probably want to save the mapping scheme (yes, you can!) for reuse. You could, if you wanted, even develop a Word template that mirrored all the same styles as your FrameMaker document, and save enourmous amounts of time compared to the hand tweaking that used to be necessary when importing from Word. All this, of course, assumes that your Word users know anything about styles, and use them. But what if they just make formatting changes inline? The new import dialog allows you to preserve inline overrides. You can then use the Create and Apply formats commands to convert overrides to FrameMaker character styles. This means that SME’s, casual authors, and other non-specialists now have an easy entry into a FrameMaker document. Easy not only for them, but also for the technical communicator who needs to integrate their material. The table formatting alone will save hours of labour. Adobe didn’t take XML seriously until FrameMaker 10. As such, although FrameMaker had XML capacity well before, it is essentially a latecomer to the XML editor market. Given that XML is an open standard, and most of the schemas we use, such as DITA, are also open, it’s hard for a latecomer to differentiate itself in the marketplace. A forms-based view, available out of the box (but also customizable), to guide authors what to fill in, and where. This can be quite free-form or highly structured. A Quick Element Insertion Toolbar to help non-specialist users quickly add the elements they need, and only the elements they are allowed. The toolbar is configurable. You can smart paste from a Word document, and structure will automatically be applied, even to a table. The file is always a valid XML file. The simplified authoring view is context sensitive, and will take the user to the next allowed location automatically during the writing process. Adobe provides a number of forms out of the box, that can be used without tweaking. Like most recent releases of XML editors, FrameMaker XML Author offers limited support for DITA 1.3 including the new Troubleshooting topic, and full support will come as soon as the standard is finalized. DITA 1.3 support is not yet part of the simplified authoring view. If you have at least one copy of “Full” FrameMaker, you can publish your XML content in all the same ways you can from Traditional FrameMaker – to all the formats, all the layouts, all the devices. Unfortunately, you still can only publish to PDF from the XML Author product. As I’ve said in the past, I think Adobe should include the full rendering and publishing capability in XML Author – even at a slightly higher price. The decades of experience at rendering is really what differentiates Adobe from other products, and should be what differentiates XML Author from other XML editing environments . First, I need to say that I’ve focused on a few points that strike me as game changers. There are a lot of other new – and really useful – features in this release. Anyone seriously considering upgrading or making a first time purchase should check them all out. I made reference at the beginning of this post to two futures. One of those futures is that of our profession. This won’t be the first time I say it, but the notion of technical writer is probably obsolete. Not that we don’t do that task, but the notion that we do nothing but that is not only out of date, probably it was never true. The nature of our work is to get mixed up in all kinds of things that have not been in our job descriptions. Today, those “extras” are becoming essentials. The tools we use, to stay useful and survive in this swiftly changing market where information changes in the time it takes to verify it, need to adapt and change. For big, established companies like Adobe, change is hard. I see at least a glimmer that Adobe’s tech comm products are seeing ahead to the changes necessary, and adapting to them. They’re still playing catchup, but they’re succeeding at it. The second future I mentioned was a future for the product. From a big-picture perspective, I think Traditional FrameMaker is back to being what it was at the beginning – a full-featured, fully competitive Desktop Publishing application, not just for tech comm. In my last look at FrameMaker, I said that Traditional Frame was not a growth product. Given the new thrust, I might have to change that opinion. I think it is now a viable alternative to more graphically oriented desktop publishing solutions that emphasize page layout more than text flow and typographical control. Both types of products have their place, and FrameMaker 2015 certainly stands out in its class, with its multichannel publishing abilities, its sophisticated DTP capacities, and a capability that I have mentioned but not discussed – the ability to create fully working IOS or Android apps. I’m not going to go into this now, but watch this feature going forward! Meanwhile, XML Author is on the way to becoming a serious contender in a crowded market of generic products. I think Adobe should take a deep breath and make this a totally separate product from FrameMaker – which means including all the publishing bells and whistles, and they should focus on aiding those first-time and casual users in ways that differentiate them from their competitors. In doing so, we all win – we get more great products, each of which gives us a different way of doing things, and thus a set of magnificent choices that allow us to do our jobs with more efficiency and pleasure, because we can choose the tool tailored to our needs. Please see my post on my approach to software tools. I work with Adobe, and they asked me to review their software, to which they give me access without charge. I do not currently use any professional editing software on a daily basis, so my opinions are not based on that kind of use, but rather on my knowledge of the product when I did use it on a daily basis, and how it has evolved since. I reserve the right to an independent opinion, and that is what I’ve written here. 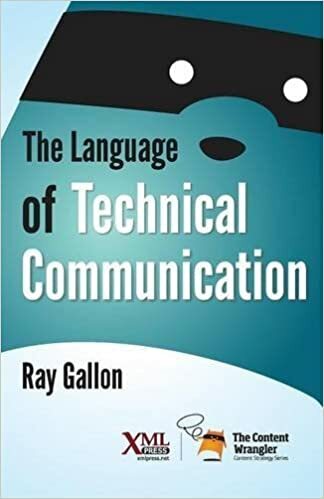 This entry was posted in Recommendations and tagged Adobe, Arabic, Content, Desktop Publishing, DITA, FrameMaker, FrameMaker 2015, Guided XML, Hebrew, Information, Ray Gallon, RTL Languages, Software, Structured Content, TCS6, Technical Communication, usability, User Assistance. Bookmark the permalink.